Home Real Estate Mortgage What is a Short Sale? Short sales are a common utilized solution to avoiding foreclosure. 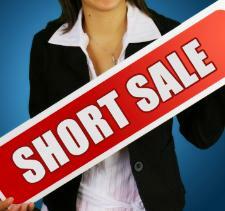 Here are some basics on what is a short sale. A short sale is a home buy/sell process where the lender agrees to let the homeowner sell the home for less than the balance due on the mortgage. It’s good for the homeowner who can no longer afford to make his mortgage payments, good for the buyer who purchases the house for a better price, and good for the lender who doesn’t have to go through a lengthy foreclosure process. A lot of paperwork is involved with a short sale because the lender wants to be sure the homeowner facing the hardship that makes them unable to keep up mortgage payments as agreed. If you’re the seller in the short sale, you’ll have to hand over at least two years of tax returns and W-2s, recent pay stubs and bank statements, a financial statement, and a hardship letter. Even with all the benefits, there are some drawbacks to short sales. While the homeowner does avoid having a foreclosure go on public record and in his credit report, he does suffer similar credit problems after a short sale. The biggest credit impact comes from the late payments that come before the short sale. The exact amount of credit score decrease depends on your credit standing before mortgage problems. Sellers typically must be behind on their mortgages before a lender will consider a short sale, which means foreclosure is on the way if the lender doesn’t accept the short sale proposal and the homeowner can’t catch up, sell for full mortgage value, or refinance. Lenders don’t typically accept a short sale offer simply because the homeowner can no longer keep up with their payments. Instead, the homeowner must have suffered some type of financial hardship, e.g. illness or job loss, which made them unable to make mortgage payments. Sellers must face the reality that they’ll lose any equity they’ve paid into the home. However, short sale is possibly the last resort in avoiding foreclosure. Short sale is more difficult when a home has second because both lenders have to agree to the short sale. First mortgages get priority and these lenders aren’t necessarily willing to fork over any of the proceeds for the second mortgage lender. The short sale can’t go through if the second lien holder doesn’t release the title. If you have a second mortgage, you’ll have to negotiate with both lenders, perhaps by offering the first lender 80% to 90% and the second lender 20% to 10%. Though the lender does avoid much of the loss and costs associated with foreclosure, they still suffer some loss when they agree to a short sale. It’s a good idea to check with an attorney to find out whether your state’s law allows the lender to pursue you for the deficiency balance, which is the difference between what you owe and what you pay. Normally, cancelled mortgage debt is taxable. However, the Mortgage Forgiveness Act of 2007 allows tax filers to avoid tax on mortgage debt cancelled via short sale if debt is less than $2 million and cancelled between 2007 and 2012. Buying a home via short sale involves more paperwork than a normal home sale. In the end, there’s a chance the lender will deny the short sale proposal. The buyer also has paperwork to fill out, namely a list of recent comparable sales to back up the short sale offer. In other words, the bank wants to be sure what the buyer is offering on the short sale is comparable to what similar homes are selling for. With the paperwork and bank review process, short sale can take several months. Buyers truly interested in the short sale have to be willing to wait patiently. Previous articleWhat is a Lien? Next articleWhat is a Prepayment Penalty?